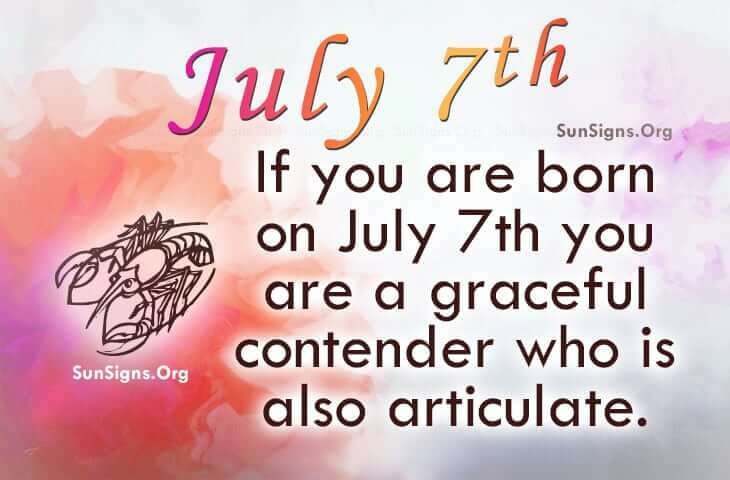 Famous people born on JULY 7 certainly know how to be articulate. They are a graceful contender, Cancer. Life has taught them to be creative and how to laugh out loud. They could be a spiritual person who provides hope to others. They give their all to those they love and they should get just as much in return. As a professional, their love of design and illustration could be surprisingly profitable. However, their own ideals are perhaps too impractical. Famous July 7 born celebrities reach for the impossible and then their dreams are crushed leaving them to feel sick and saddened. While romance can be achieved, they have extremely high expectations of others. Typically, they like seeing their money grow instead of spending it foolishly. When it comes to their health condition, they should try relaxing more often. I mean, they’re sensitive so they deal with a lot of stress. Or as a shortcoming, they may be too authoritative. Chill out, go out and take some pics of nature’s magnificence to reduce tension. Famous people born on July 7th are likely to be unrealistic dreamers. Although very sharp, they have a tendency to give in to impulses and spend just beyond what their budget allows.